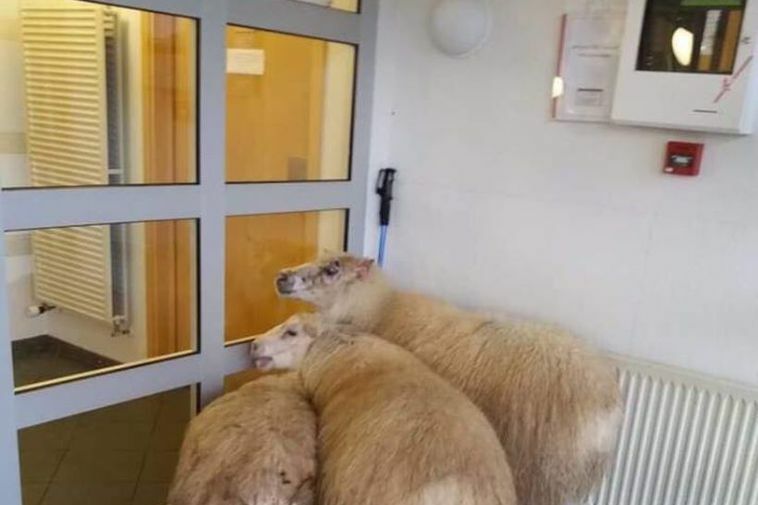 A ewe and two lambs entered the healthcare centre in Eskifjörður, in the East fjords of Iceland yesterday. Sævar Guðjónsson, an Eskifjörður local published the short video below that he captured of the incident. "That ewe has been up in the mountain all autumn and there's been no way to catch it," he explained to mbl.is. "I was at the healthcare centre myself when the sheep arrived. The door opened automatically and in they went." Apparently the sheep were caught soon after their trip to the healthcare centre in a nearby garden.